Join us for our 3rd annual Winter Warmup sake event. This year’s theme is “A History of Sake” will showcase the evolution of sake and try to match a multitude of sake with a particular major era in Japan’s history. This is an opportunity to explore many historic sake styles in the intimate space of the Soho House, a heritage building located in downtown Toronto. Taste through the various ages of sake from Asuka to Edo to modern day Heisei, which celebrates the many sakes produced outside of Japan, with contemporary appetizers from the Soho House kitchen. The Soho House is a members-only private club situated beside the Shangri-La. It is a restored 19th century hotel that is now home to 10,000 square feet of cozy spaces for its members to meet. The Winter Classic will take place in the Soho House’s penthouse floor, called the Pretzel Bell Bar after its original incarnation in the 1800s. A multitude of sakes will be available to sample, while learning about sake’s long history. 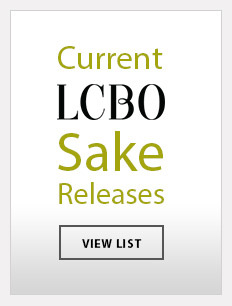 The Sake Institute of Ontario (SIO) is a not-for-profit trade organization of Ontario-based sake distributors and manufacturers with the principal objective of educating and promoting the responsible consumption and enjoyment of sake. The SIO is the organizer of Kampai Toronto, the largest sake festival in Canada and continues to focus on educating & increasing awareness of sake through events, seminars & content sharing both online & via social media.